Generational changes in leadership are natural at smaller, privately held companies as sons and daughters take over the business from their aging parents. But these days, that generational shift has spawned another change — a far-reaching shift in the way companies view and use technology. Around the region, as elsewhere, a younger generation of more tech-savvy leaders are changing the way their family-owned companies operate — everything from their manufacturing systems to their underlying business systems to their sales and marketing efforts, and more. “It’s natural now that as these leaders come into the workforce, as they take over maybe from their fathers or mothers, they’re looking at things very differently, seeing technology more broadly, because they grew up with it,” said Dave Hartman, president and co-founder of Hartman Executive Advisors, a business management consulting firm based in Baltimore County, which works mostly with midlevel, mid-Atlantic based companies. One such company is Hamilton Associates, an Owings Mill conglomerate of three businesses in three unrelated fields: elevator components, commercial grade pressure washers and air contamination testing. 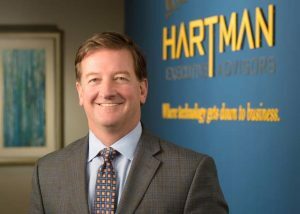 Dave Hartman, president of Hartman Executive Advisors, a Timonium-based firm that assists middle market organizations with IT business strategy. Douglas Hamilton II, the third-generation CEO of the business, makes no secret of steering the company toward more advanced technology in his seven years as CEO. Hamilton has made seven-figure investments in manufacturing techniques and machine equipment and six-figure investments in underlying business systems, he said, and he expects to make more. For example, he said, technology allows Hamilton access to a lot more information about specific customers’ buying habits and needs. That, in turn, allows them to target products to specific customers — as opposed to sending out blanket emails to all customers, for example, as they did in the past. Scott Attman, vice president of Acme Paper & Supply Co., a janitorial and industrial supply company distribution company in Jessup. But with today’s fast-changing technology, that philosophy requires a whole new level of attention. 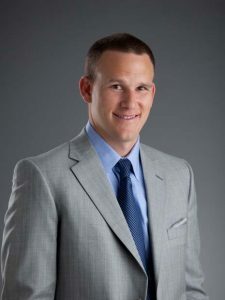 What that means, he said, is creating a more efficient, consolidated business operations system, on one end, and on the other, the most up-to-date buying experience possible for customers — “One that feels like more of an e-commerce experience,” he said. The new generation of business leaders often sees themselves as different from their predecessors, even when those predecessors were their fathers. Or fathers-in-law, as is the case of Kevin Monaco, president of Turf Equipment and Supply Co., in Jessup. 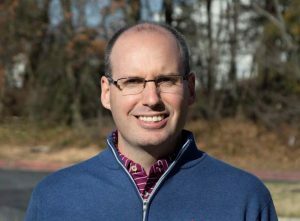 Monaco assumed his current post at the lawn equipment irrigation systems distributor in 2012 and took a different view on technology than his father-in-law. Kevin Monaco, president of Turf Equipment and Supply Co., in Jessup. One change his company is looking into, Monaco said, is making repairs more efficiently. Historically, his repairmen go out to the site of the problem with a van full of tools. Eventually, he said, he wants to use technology to troubleshoots problems from the office, only sending repair personnel when necessary. “This is where the future is headed, and we have to make sure we have a platform that can handle that level of services for our customers,” Monaco said. Keeping up with the latest technology means being constantly open to change, the business executives agreed. 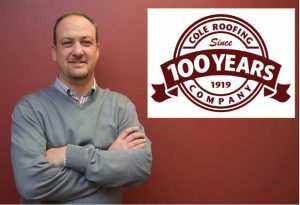 When Billy Cole took over Cole Roofing from his father in 2012, the commercial roofing company had already come a long way in its 99 years. His father, for example, modernized the company in the 1980s and 1990s by the use of spreadsheets. Although the company remains “diehard spreadsheeters,” Cole said, a new accounting software process enabled them to produce better, more timely reports.